A recent newspaper article from the Albany Times Union details the discovery of film canisters containing recordings from a “pallophotophone” which was used for radio broadcasts in the 1920s. The 20 hours of recordings were brought to life with the help of some engineers who built a machine to digitize the recordings. 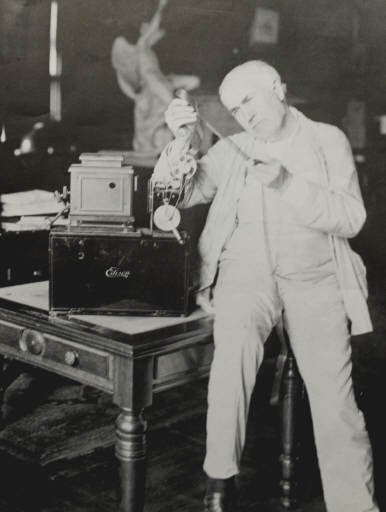 This recording contains the voice of Edison on stage with Hoover and Ford. This entry was posted in Edison, Old Time Radio and tagged Lost Edison Recordings. Bookmark the permalink.